I have mixed feelings about these figures. 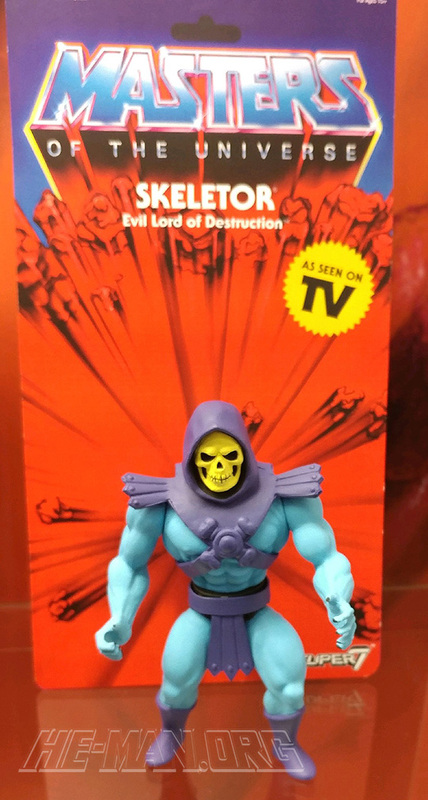 I generally avoid Filmation-style figures in general, though I have no problem with them existing. 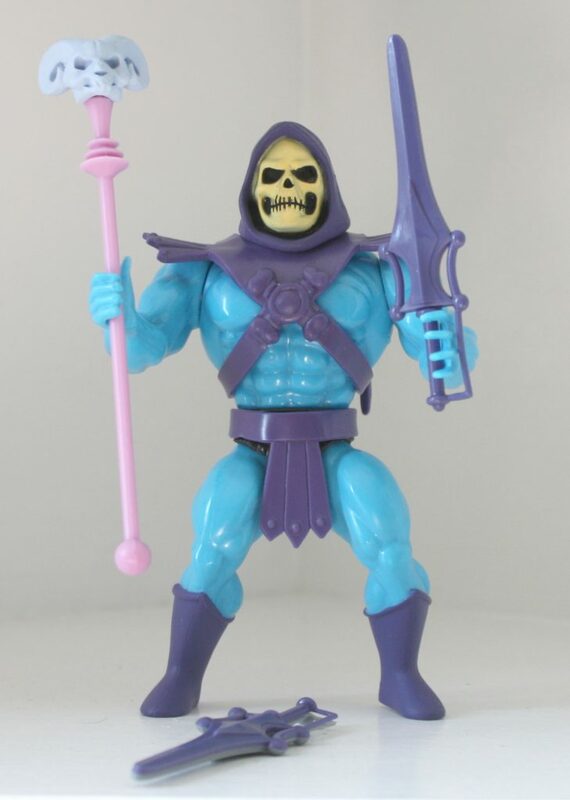 I grabbed one of these because, despite opening everything I get, I’ve long wanted a vintage MOC Skeletor as a display piece. I figured, unless I get lucky and suddenly have a huge surge in book sales or something, this was as close as I could ever get. Later, I wound up pre-ordering one from BBTS as well, figuring I’d wanna open one up, too. 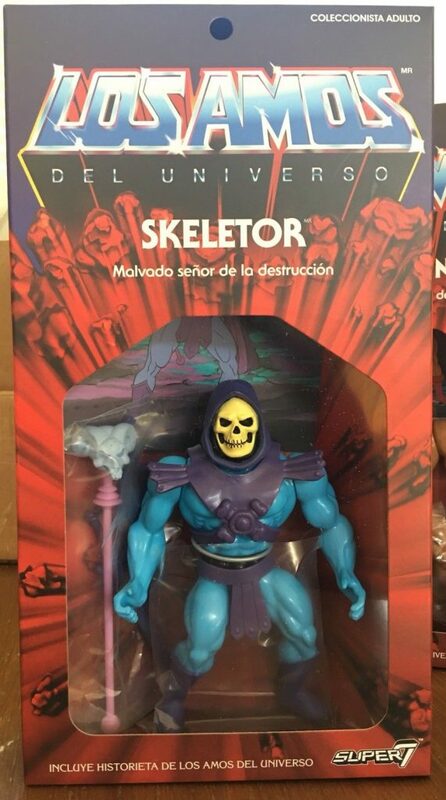 Long story short, I wound up deciding not to open one, partly due to the epidemic of leg breakage issues, but mostly because I decided my vintage collection wouldn’t be improved by having a Filmation version in it. One to display in the package would be plenty. One of the two I ordered looks quite nice, with none of paint issues the other one suffers from. 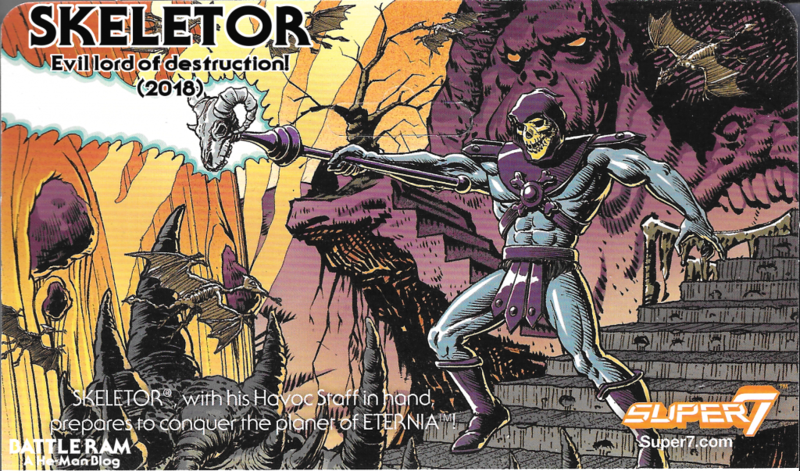 I also love that they actually got Erroll McCarthy to provide the cardback art! 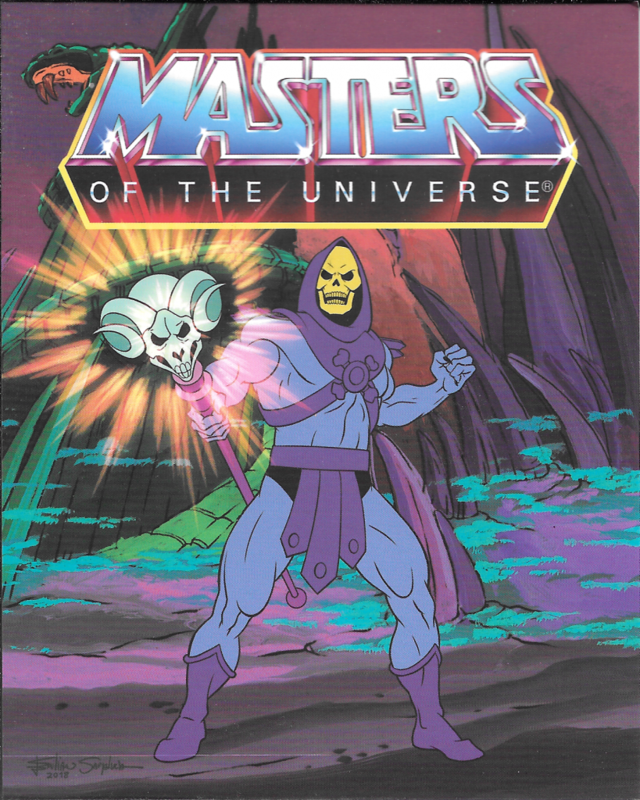 My main issue with this line is that it’s yet another one that has been taken over by Filmation. 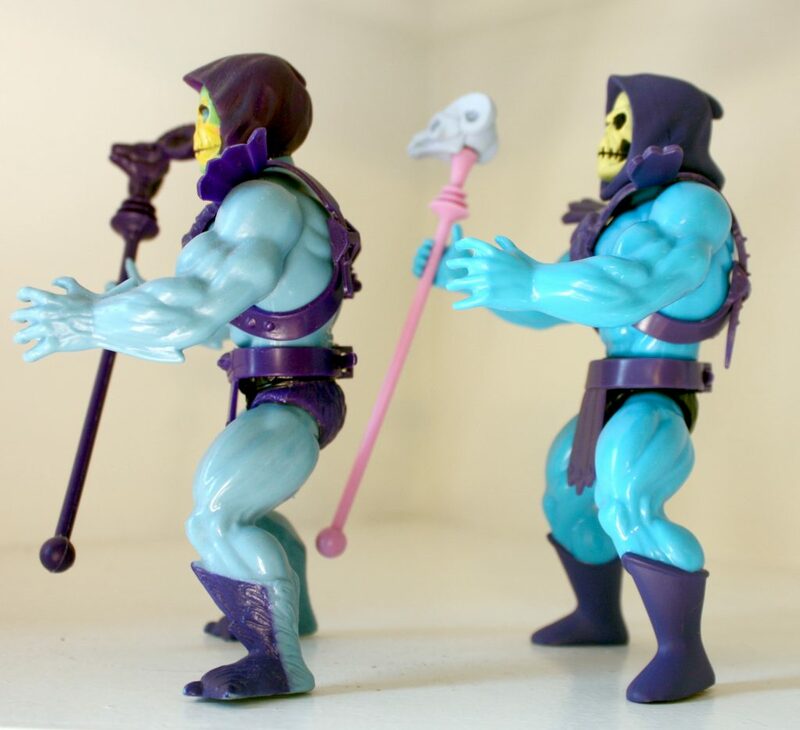 When this line was announced, with still-yet-to-be-released He-Ro and Eldor as part of it, I (and many others) found myself dreaming about all the vintage-style figures we could now get. 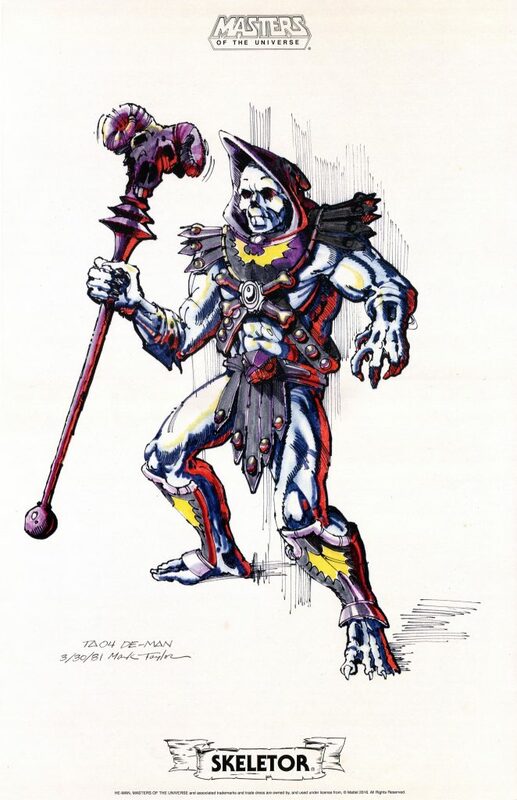 Concept characters (like Demo Man and Vikor) who never saw the light of day, figures (such as the green Sorceress and Lodar) who should have been, even characters who came later (like King Grayskull and Draego Man) that would be awesome additions to the vintage line! 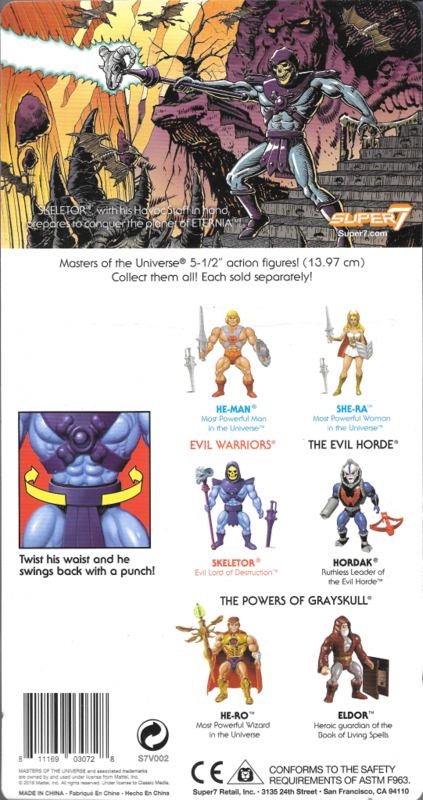 But, with four waves revealed, it appears that Super 7 is only interested in it as yet another line to churn out Filmation-style variants, and that is such a sad waste of a wonderful opportunity. I bought the first four as support for the concept of 5.5 figures, and snapped up He-Ro and Eldor as soon as they went on sale. 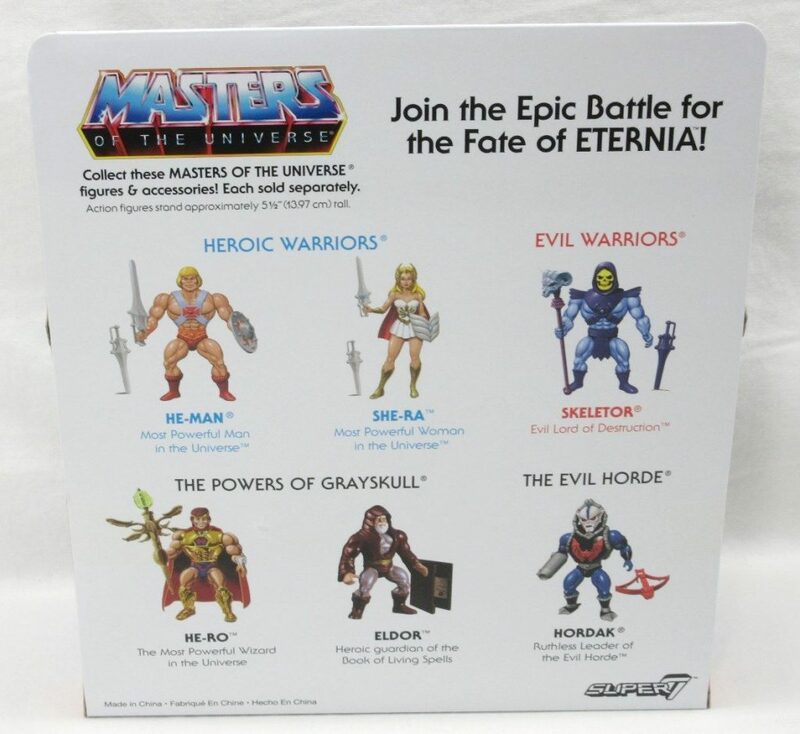 I intend to order Shadow Weaver and perhaps Evilseed, but the rest either aren’t different enough (you couldn’t spring for an Energy Bow attachment for Trap Jaw?) 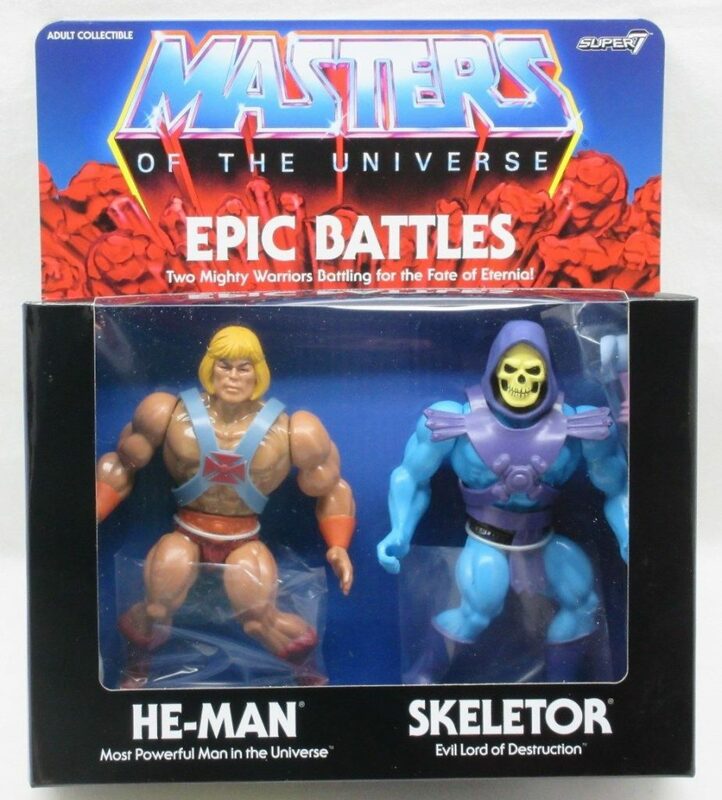 or just plain unappealing (Beast Man and Teela). If they put out the 1988 wave, though, I’m definitely there. 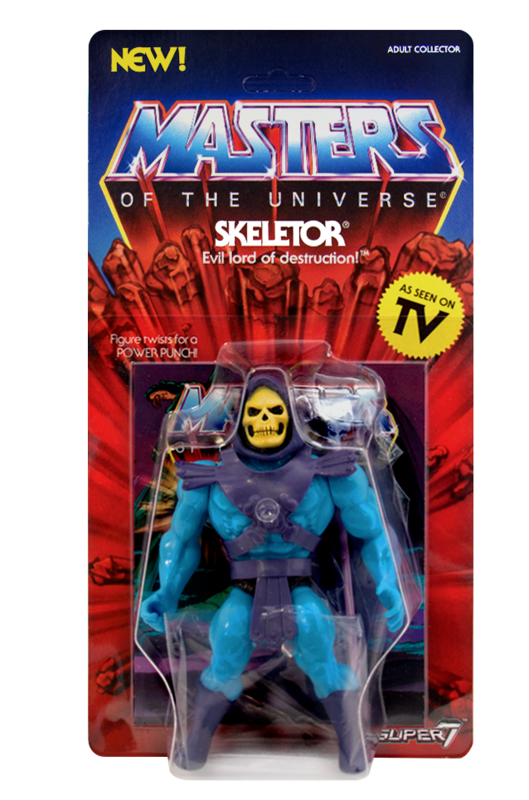 I actually wasn’t planning to buy any of the Filmation stuff, but I finally relented. 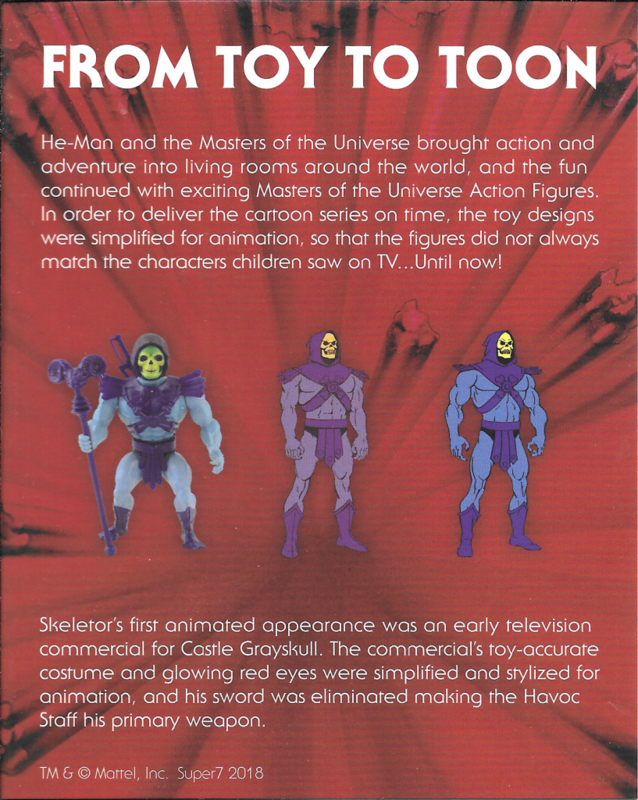 For Filmation figures, I definitely am more interested in figures that weren’t produced as you mention, like Shadow Weaver and Evilseed. 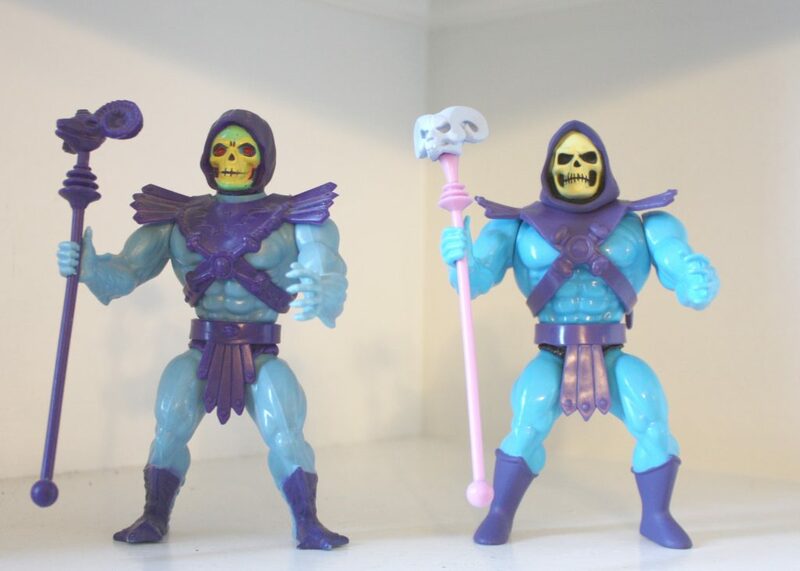 I’d also love to see 5.5″ versions of characters like Fang Man, Strongarm, Icer, etc. 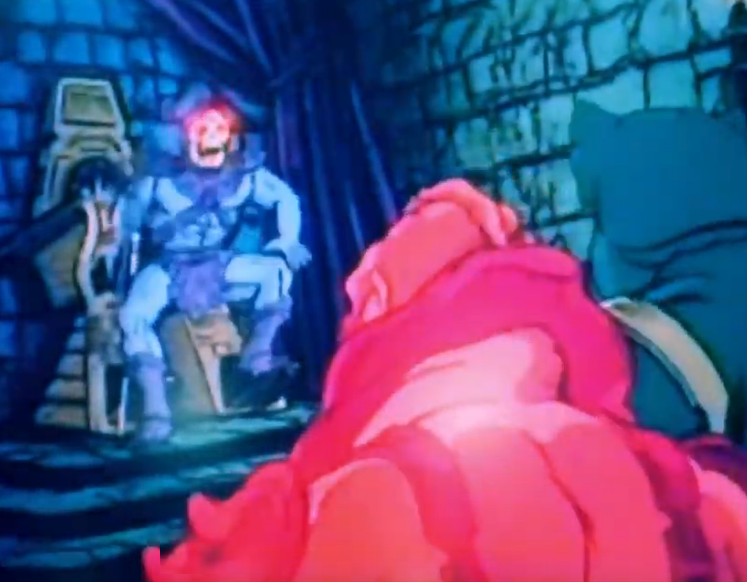 Teela does look a bit uninspiring. 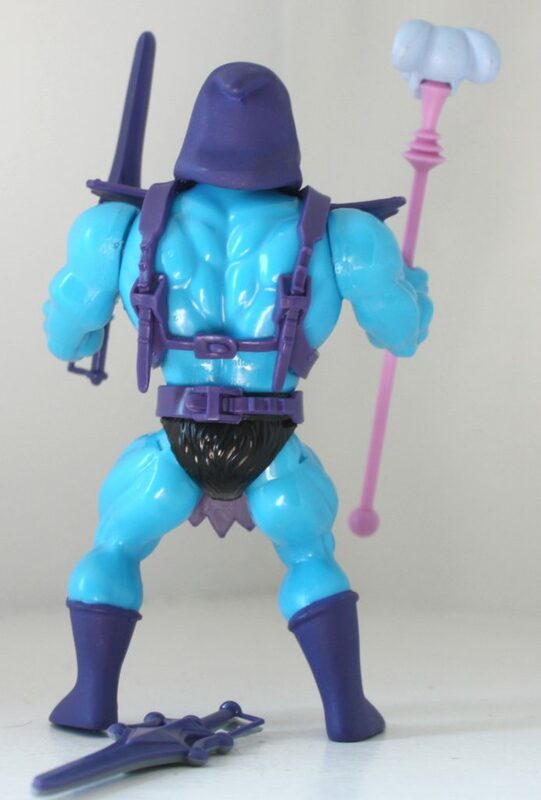 Beast Man’s prototype at least has the wrong colors, I hope that is fixed in the final version. yeah.. gotta say i’m not that impressed.. colours are off from the show and not a big fan of some of the bits (though I’m a bit bias). 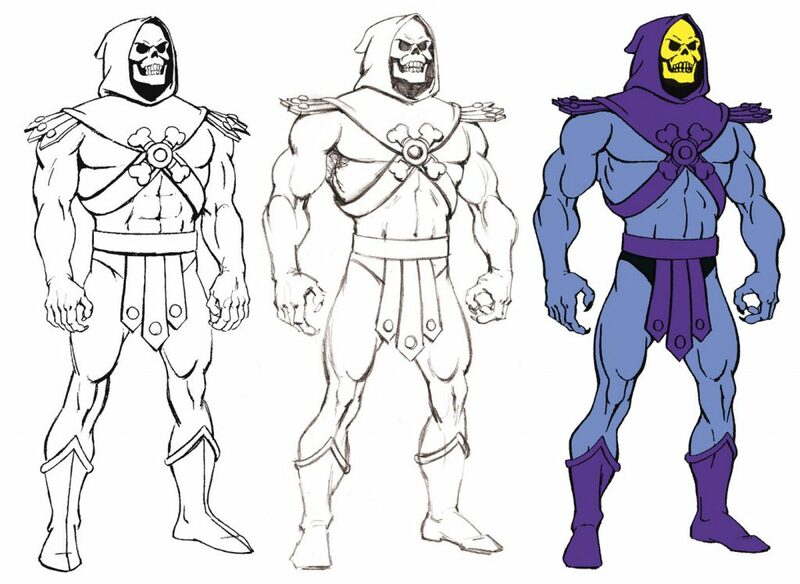 IN fact, the original blue is much closer to the cartoons desaturated colours etc.. still interesting enough article.. 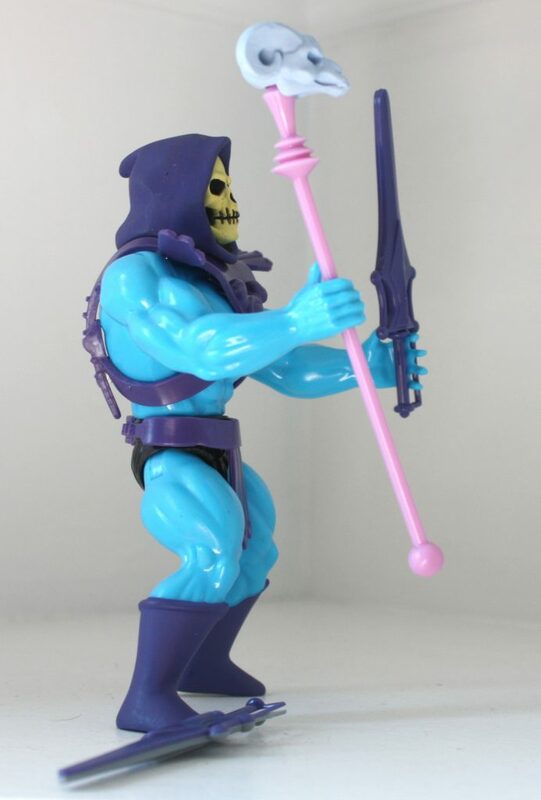 I don’t like the filmation style applied to action figures. 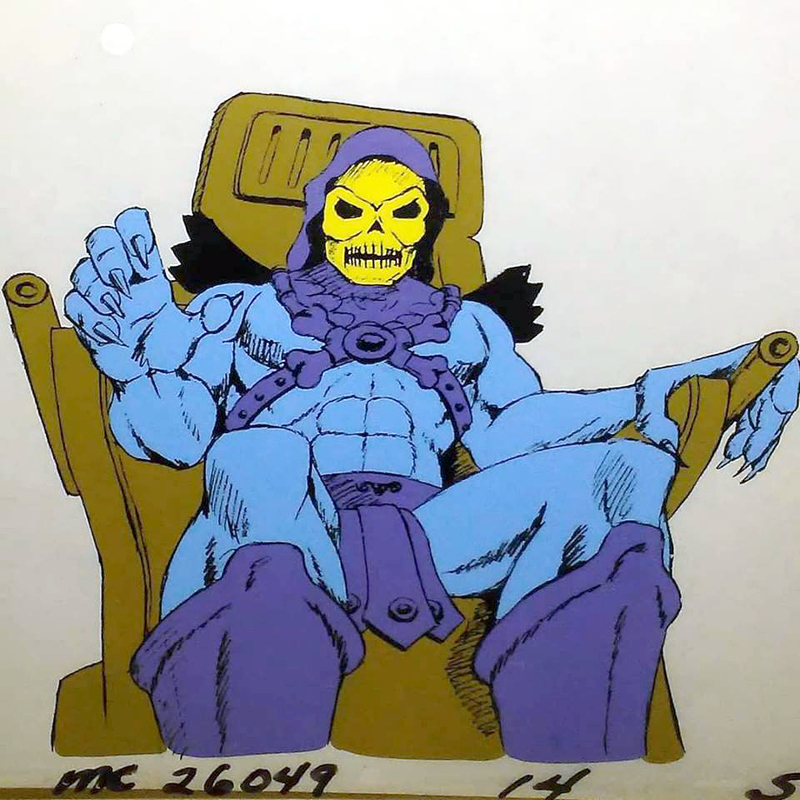 As kid I became somewhat aware that the filmation design was simplified for a practical reason, and altough sometimes it beothered me in the end I accepted it. The same reason do not apply to action figures so the lack of details to me is a big “no”. 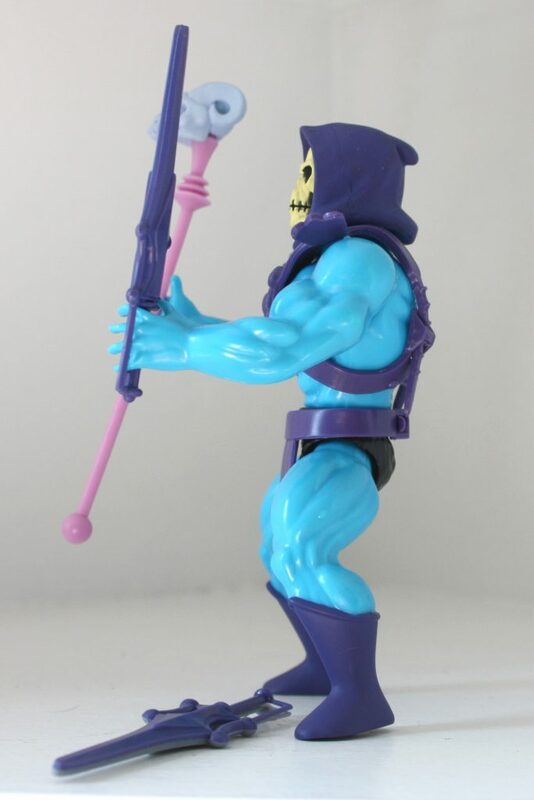 I must say that i like some details of this figure like the sculpts of the head and the havok staff (but not the color: I would paint it immediately XD), but the rest is not very impressive in my eyes. 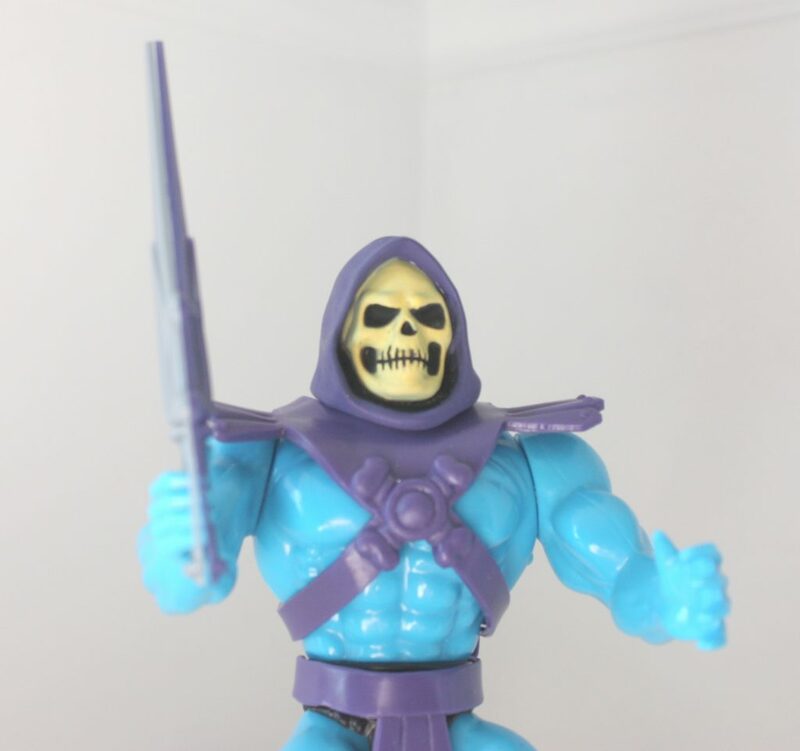 The blue used for the skin does not fit Skeletor: the vintage pale blue give to the figure an unhealty look, very fitting for someone who has a skull for face.